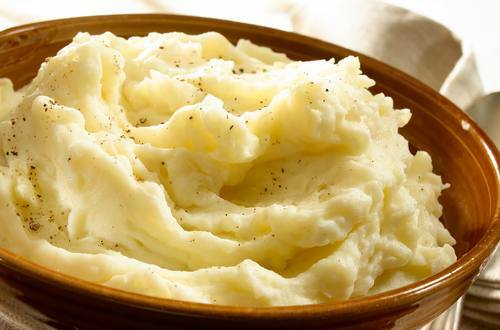 Looking for a butter substitute in your mashed potato recipe? Try mayonnaise! Mashed potatoes with mayo are super creamy and taste just as good! Try them with Thanksgiving dinner! 1 Cover potatoes with water in 2-quart saucepot. Bring to a boil over high heat. Reduce heat to low and simmer 10 minutes or until potatoes are tender; drain. Return potatoes to saucepot; mash. 2 Stir in Hellmann's® or Best Foods® Real Mayonnaise and milk. Season, if desired, with salt and ground black pepper.